Once I reached my GoodReads goal of 12 books back in July I wrote a post on 'Books I Have Read This Year' and since I managed to read another 11 before the end of 2018 I thought I would write an updated version. I've increased my 2019 GoodReads goal to 16 - keeping it achievable so I don't put myself off reading. I saw this book in Waterstones when it first came out but it took me years to get round to reading it. Following a couple who baby is taken when they are next door it has lots of twists and turns. 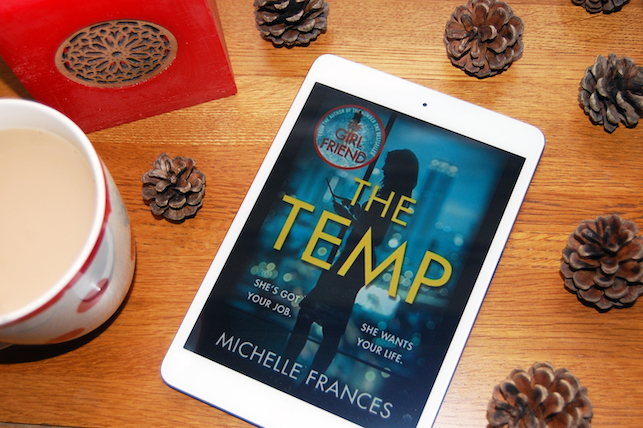 I can see why this book had so much praise - I'd recommend it to anyone who loves a good thriller. I read the last quarter over one afternoon because I couldn't put it down. Another book I raced through - I was hooked from the very first chapter. Following the main character, Nora, who goes to a hen party despite not seeing the bride for ten years. When there is a dark turn to their weekend there are so many unanswered questions. Although I had my suspicions about what might happen I couldn't work it out properly until the very end. Perfect if you want a page turner to read over a few days because you won't be able to put it down. 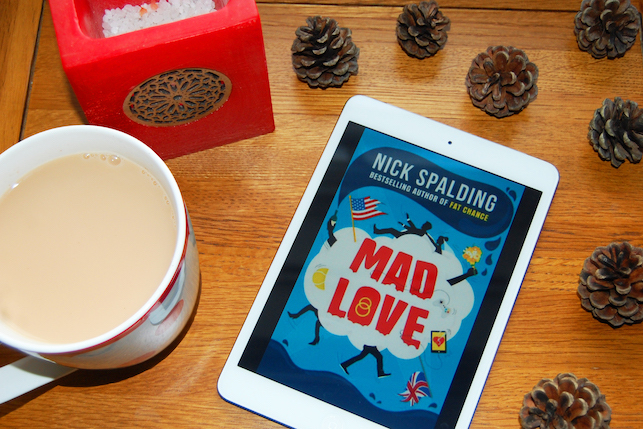 This is the first novel of Nick Spalding's I've read and I really enjoyed it. I picked it up on Amazon because it was only 99p and I like to have some back up books to read on my kindle. I've watched the TV show 'Married at First Sight' and this is a similar idea although complicated somewhat by the dating app this is a publicity stunt for. The end was slightly predictable but there was a twist I didn't see coming. Although it took me most of the book to arm to Adam. I thought I had read this book properly years ago but reading it again there was so much I didn’t remember. Even though this is the longest Harry Potter book it is the perfect length - I fact I could have kept reading (just not about evil Umbridge). I've read mixed reviews about this book so I was unsure if I would enjoy it. I spotted it in my local library and picked it up anyway. Turns out I am the first person to read it which is cool. More of a young adult, dystopian fiction which I've read quite a lot of but I thought it was interesting to only have one female. I really enjoyed it too - the story line, while maybe a little predictable, was gripping. Looking forward to the next two books in the series. Hurry up and write them Tom and Giovanna! I loved this book despite the characters not being totally perfect. 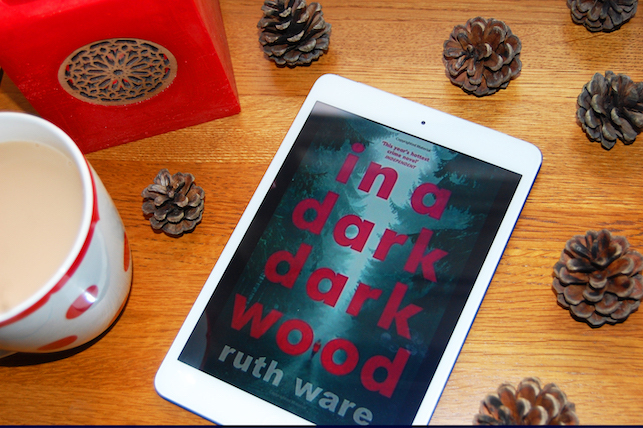 This is the third book I've read from Ruth Ware and I turned the pages just as quick as 'The Woman in Cabin 10' and 'In a Dark, Dark Wood'. Four friends are reunited when a body is discovered near this old school but it quickly becomes clear someone isn't telling the truth. I had suspicions about how the story would turn out but there was twists and turns along the way and the ending was great. My only problem was with the main character, Isa, lying to her partner. I can't relate to not telling my boyfriend everything - then being annoyed when he is angry he has been lied to. Felt like that was totally justified. ‘The Keeper of Lost Things’ is slightly different to my usual choice but it was a delightful and uplifting read. Filled with different, intertwining tales and short stories I loved it so much that I wrote a review you can read here. The second of Nick's books I picked up for my kindle for 99p. When siblings Dan and Hayley inherit their late grandmother’s farmhouse all they have to do is fix the place up and sell it for a tidy profit. My parents are architects so I know a lot more about the process of designing and building a house than most people so this part seemed a little far fetched. I could also predict the ending well before the end. However, it is still an enjoyable and easy read. The second of Michelle's book I read in 2018. Carrie is already a successful producer but when she hired Emma, a temp, she charms her way into Carrie's life, winning over her husband and her colleagues one by one, Carrie suspects Emma is after more than just her job. At first I thought this book was going to be the same story line as 'The Girlfriend' but with twists and turns along the way it turned out to be quite different. I loved it! Finally I read the 7th book in the Logan McRae series which I enjoyed just as much as the first six (especially because they are set in Aberdeen). It was good to see some development in McRae's character and I'm sure it won't be long before I pick up the 8th book. I've already finished my first book of 2019, A Stranger in the House, and I'm reading Gordon Ramsey's autobiography at the moment so I'm sure it won't be long before there is another one of these posts. Also on Charlotte's recommendation I've bought Crazy Rich Asians and Dark of Night Trilogy.